Benham Coal Company records now online! 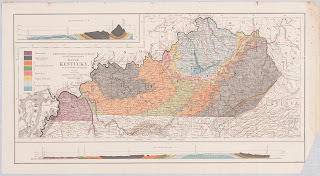 The Benham Coal Company records, one of several Appalachian collections to be digitized by UK Libraries Special Collections Research Center as part of the National Endowment for the Humanities funded Coal, Camps, and Railroads project, is now available on ExploreUK. Located on the eastern side of Harlan County, Kentucky, Benham is a coal town developed by the Wisconsin Steel Company, a subsidiary of International Harvester. Beginning in 1910, the city was constructed from rural communities once tied together by subsistence agriculture to provide the raw material to another industrial city where steel was made. 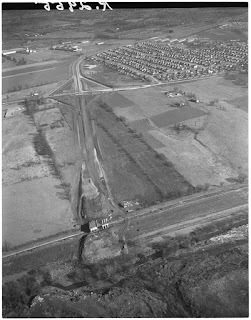 Benham was often described as a “model” coal camp, one with better quality housing with running water and electricity, schools, churches, a hotel, commissary, meat market, theatre, baseball diamonds, a doctor, and other amenities supplied by the company. As the demand for coal diminished in the 1940s and 1950s, miners and their families looked elsewhere for work. By the 1970s, Benham‘s continued loss of population corresponded to its dwindling coal production and in 1986, International Harvester left Benham altogether. 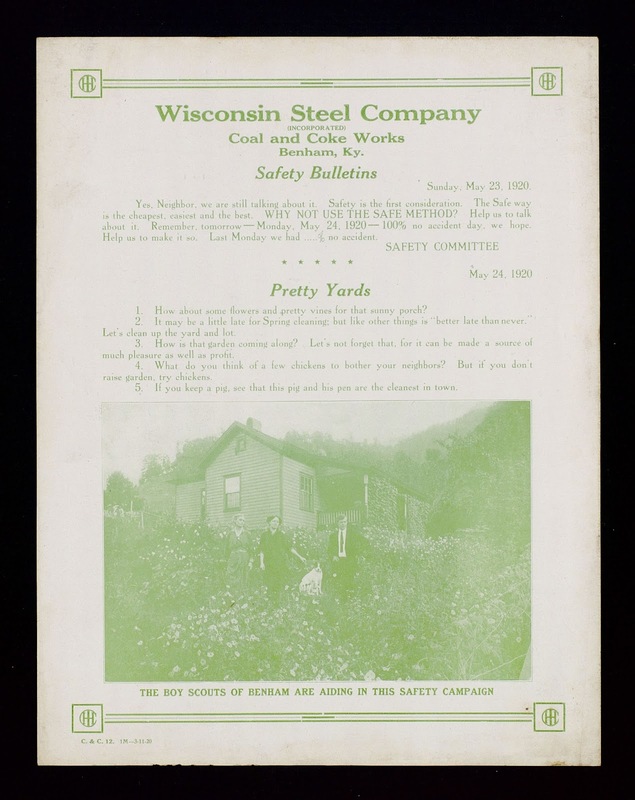 The Benham Coal Company records (151 cubic feet, 302 Boxes; dated 1911-1973) focus primarily on the early years of Benham Coal through the 1940s, including office files, employee benefits association records, files on accidents and safety, and photographs. UK Libraries was awarded a National Endowment for the Humanities grant in 2013 for the Coal, Camps, and Railroads project. Over 130 cubic feet of portions of the Bert T. Combs Appalachian Collection, including the Benham Coal Company records, will be selectively digitized, focusing on 189 years of economic development in the Eastern Kentucky coalfields from 1788 to 1976. The materials document the search for, extraction of, and distribution of coal, oil, and natural gas resources, the creation of railroads to bring these raw materials to industrial manufacturers and electrical power generators across the United States, as well as the company towns, their services, and the individual lives that grew up to sustain and make possible this economic development. 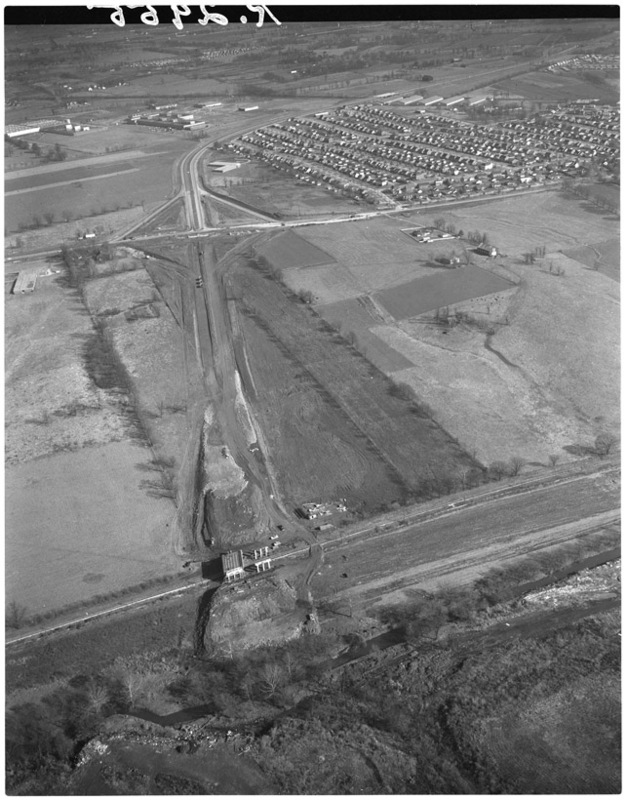 The Sherrill Martin papers, Tacony Oil Company collection, and the Kentucky Union Land Company records have also been digitized as part of the Coap, Camps, and Railroads project and are available on ExploreUK. 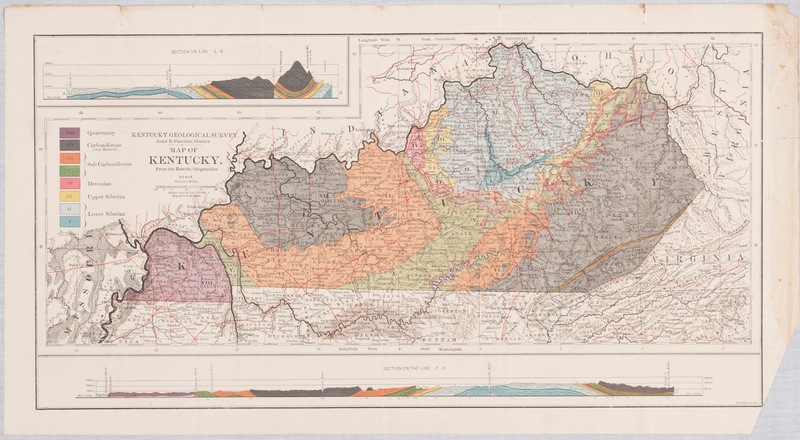 More information on UK Special Collections Research Center’s online Appalachian collections can be found here. 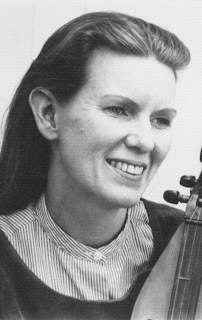 Saying Goodbye to the "Mother of Folk"
Jean Ritchie, Appalachian folk singer, songwriter, author, and dulcimer player, passed away yesterday at the age of 92. Born and raised in the Cumberland Mountains, Ritchie was known as the “Mother of Folk”. She released several albums on Elektra records and performed at Carnegie Hall. Ritchie also worked to record and document American, British, and Irish ballads. A graduate of the University of Kentucky (1946, B.A. 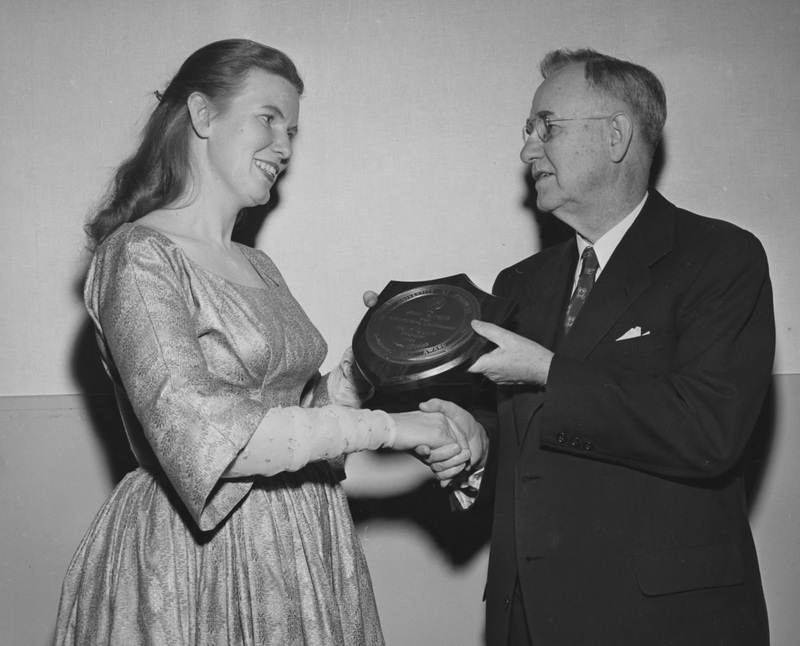 in social work), Ritchie was the first recipient of UK’s Founder’s Day Award, and in 2002, she was awarded a National Endowment For The Arts National Heritage Fellowship. 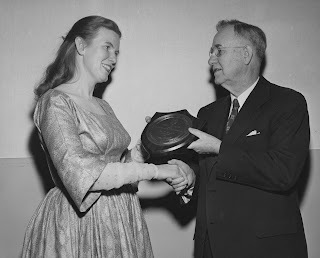 The University of Kentucky Special Collections Research Center houses the typescript of Singing Family of the Cumberlands, Ritchie’s 1955 publication on her family’s history.